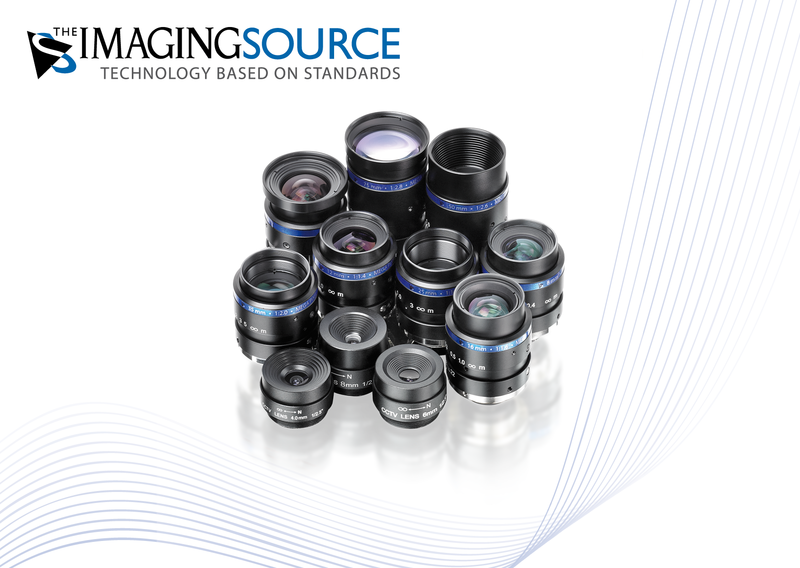 ⋯ (December 10, 2015) - The Imaging Source, an international manufacturer of industrial cameras and software for machine vision, has expanded its extensive portfolio to include a new series of high-quality, 5 megapixel lenses starting at 59 USD. The lenses are available in C- or CS-mount types with a focal length of 4 mm up to 75 mm. To ensure maximum stability, the C-mount lenses are of a screw-thread type with a locking screw. The very competitively priced CS-mount lenses, on the other hand, are exceptionally light and compact. With image formats of up to 1" and an optical resolution of 5 megapixel, the lenses can be used in conjunction with a variety of CCD and CMOS sensors.